Each year CNN receives thousands of nominations for CNN Heroes out of which it honors ten “Everyday individuals doing extraordinary things to change the world”. This year Atlanta resident Nate Natesan is nominated by over 700 families for this prestigious honor. People consider Nate as “our Atlanta hero”, doing what no one wants to do. Nate, is living Mahatma Gandhi's words "Be the change you want to see in the world". 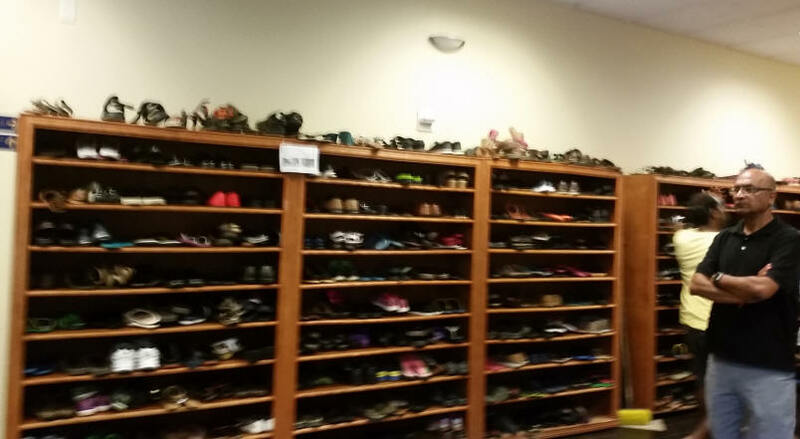 Nate has been putting our sandals in racks and promoting awareness to keep temples clean. He believes purity of soul begins with self-discipline. Nate Natesan is the pioneer of world-wide Swacch Devalaya reform movement, started in 2006 initially at various sathsangh events, later extended to temples and social media. 2) The movement to promote discipline and self esteem is gaining momentum with heartening change and awareness among children too for 5S (sort, straighten, shine, standardize, sustain) which is ingrained in the Japanese and western culture. 5) Nate introduced Numbered Bag System to augment capacity. 9) Nate is blessed by his guru Swamini Svatmavidyananda, (disciple of Pujya Swami Dayanand Saraswati) for his role in promoting Swacch Devalaya and Swacch Manasalaya. 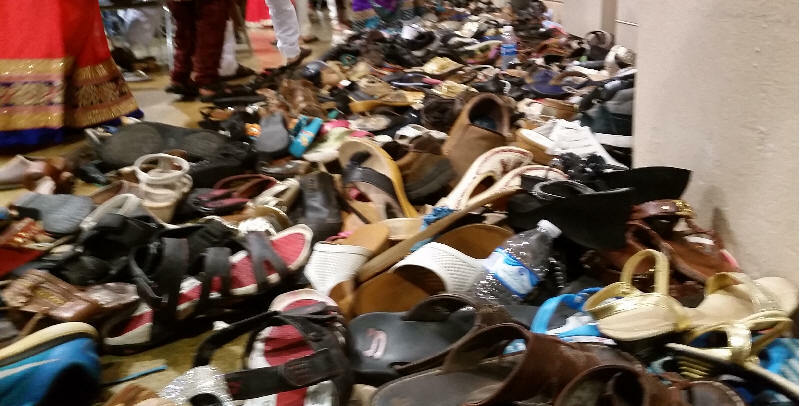 When asked what inspired him to start Swacch Devalaya movement he says it was at the Sunday Bal Vihar class of Chinamaya Mission where he was struck by the mess of sandals thrown carelessly on the floor without any concern for cleanliness, or order. He started arranging sandals neatly on the floor. Thus Swacch Devalaya was launched, the name coined from Swacch Bharat in 2014. 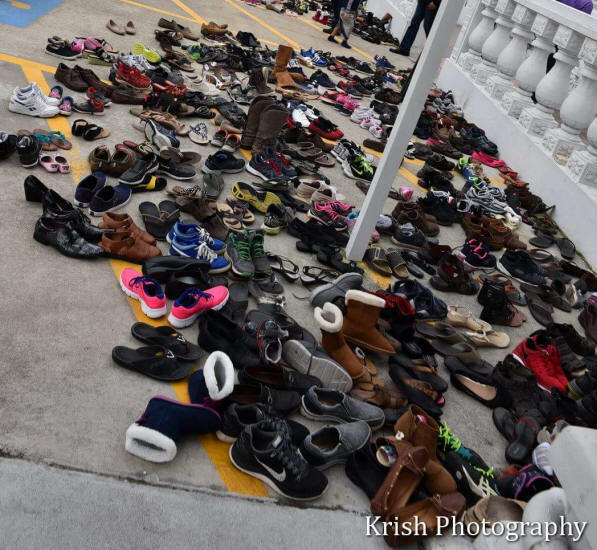 Until 2014 Nate has been arranging the sandals himself which enables him to stand tall at temples and manage a large throng of devotees and ensure all sandals are kept in racks or numbered bags. He still does arrange sandals neatly when necessary and offers to help people who may need help. Nate says we teach yoga to the world. But we lack internal discipline. Patanjali’s yoga sutra prescribes yama and Niyama for internal discipline as the first two steps followed by good postures, correct breathing, control of senses, meditation, control over mind and finally Moksha. Nate’s love for community inspires him to do what no one even thought of. He fearlessly drives the movement to raise awareness to civic sense, to inculcate cleanliness at all places including leaving sandals neatly lined at social parties, parking cars in an orderly way, adhering to a single line for aarti and Prasad, respecting rules of temple and public property. “There is organic change” say people, “children are better organized at home and Swacch Devalaya comes to mind wherever the question of cleanliness arises”. Nate says we are proud of our Hindu heritage and the highest values depicted in scriptures, but forget Hinduism is a way of life to be practiced. 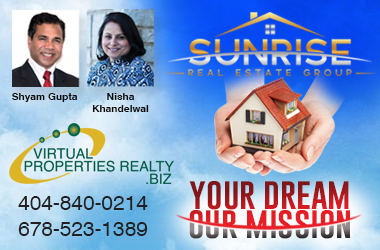 Nate from Mumbai has a degree in Maths from Bombay University and MBA in Fiance from Rutgers University NJ, and has worked in several major International companies in Mumbai, Pune, New Jersey and Atlanta, USA. “I am a financial, business analyst and daring to think out of the box is my nature”. Nate has conceived several ideas including DVR, a unique twelve page brochure on concepts of tennis, Self-introspection prayer which is swacch manasalaya that seeks the grace of the higher power to evolve. 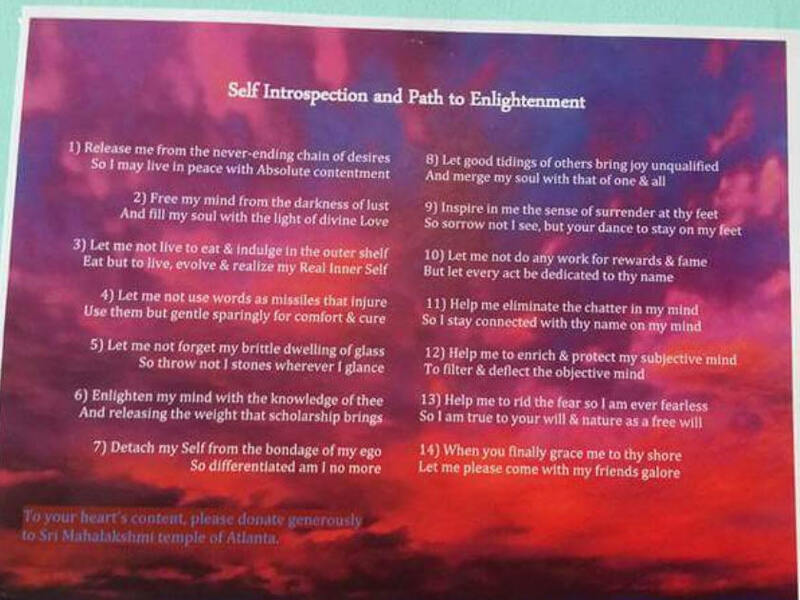 He shares Self-Introspection leaf-let with people of all faiths and also ,strangers at public places which is extremely well received and considered as a universal message of peace with oneness,at the haert of all faiths. Nate conveys his good wishes to his friends of diverse faiths on their birthdays with the well-known sloka or hymn from our Upanishads (Asato maa sad gamaya) explaining that essence. Nate’s spiritual awakening was triggered by messages from Upanishads, Bhagwad Gita and discourses of acharyas from various institutions. He says there is something to learn from even a common person. As a member of the Sathya Sai Group, he rendered many services including volunteering in soup kitchens. Nate’s vision is “An army of volunteers to tutor children who get no help at home towards learning. Eevn fifty (50) hours in a year can go a long way. This is one way to fight poverty and bridge inequities”. Every NRI knows about Swacch Bharat. Nate wants the same awareness in every NRI for swacch devalaya. He is looking for support in promoting awareness in social media from people, community leaders, Mahatmas and world-wide leaders of spiritual and Seva based institutions. 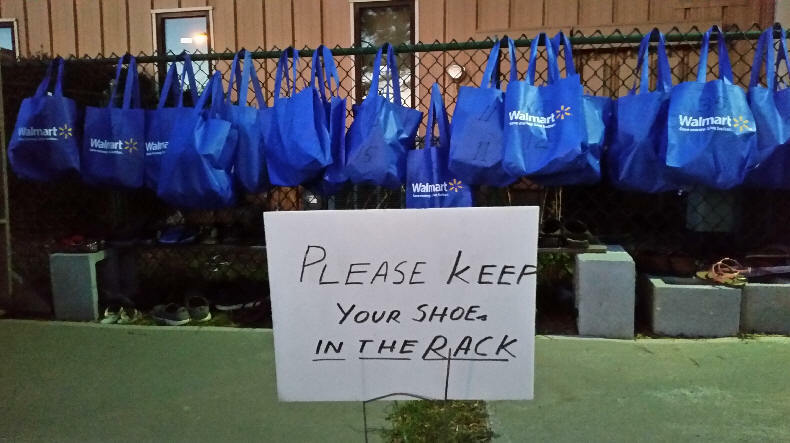 With awareness people take pride in putting sandals in a rack. If we cannot promote cleanliness among educated people at temples in the western world where there is a system in place and high civic sense, Swacch Bharat will remain a pipe dream. Unfortunately people hesitate promoting the message to others ,though so many came forward to tell the story to CNN. Nate continues to be a one man army, not affiliated to any social or cultural Association. He is cheered on from the sidelines by devotees, temple management and the priests. 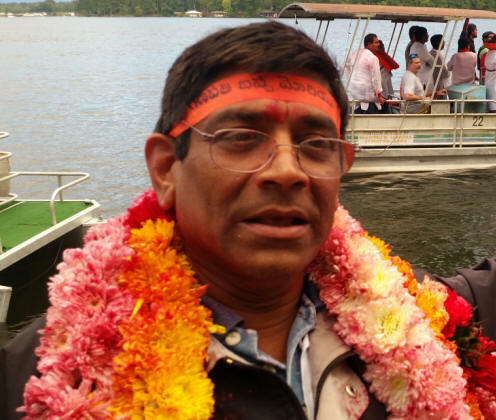 Nate is a familiar figure wearing a swacch devalaya vest at various temples and events in Atlanta including several events in the Telugu community. Recently Nate experienced heartwarming success at the Maharashta Mandal Ganesh Utsav and garbha events at Ambhaji Shakti mandir and at the Gujarati Samaj of Atlanta. Nate believes in “Just Do it” and “Leaving the lights on for all. He opens the heavy doors for devotees at the temples to open his heart to one and all. He says he has many failings to overcome and he has a long way to go towards evolving. When asked about his spiritual sadhanas he said I don’t want to just keep dribbling the basket-ball, I want to share and pass the ball to play in God’s team.